Inbound Journeys consist of a visiting club coming to you; members of your club host the visitors for one week. Both clubs participate in some events; at other times, the individual host family and/or day host spends time with their guests, showing them the culture and lifestyle of their country. Journeys were previously called Exchanges - as clubs often visited clubs they hosted. Now the focus has changed more to hosting people from any club, often with a theme for that location. Outbound journeys usually consist of one club visiting another club for one to three weeks of homestay (one week with each club) in another country, living with people in the host club. The homestays may be followed by an optional tour. Groups are from 10-40 people, with 20 being an average. The Dallas club also participates in Domestic Journeys - clubs within the United States. 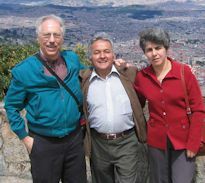 See the AARP Magazine article: Real Deals and other articles about the Friendship Force experience. The Friendship Force specializes in short-term group homestay programs. Friendship Force “Ambassadors” travel from their home countries to foreign countries, where they are welcomed into the homes of local hosts. After sharing experiences of friendship, personal relationships are established across the barriers that separate people, and differences of language, race, creed or politics become less important. The international inbound Journey for 2018 was the ART AND ARCHITECTURE GLOBAL JOURNEY - May 15th – 22nd, 2018. The Host Coordinator was Felicity Sentance - fsentance@gmail.com. 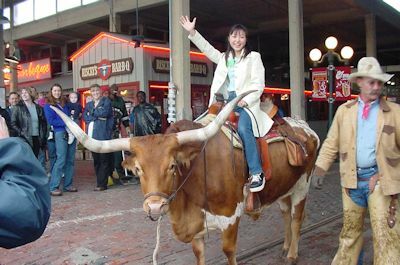 This Journey required a lot of touring and activities with the visitors going places in Dallas that we have rarely visited ourselves. 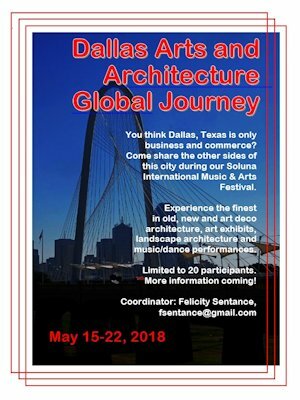 • Six different Pritzker Prize-winning architects have designed buildings in Dallas and the Arts District. 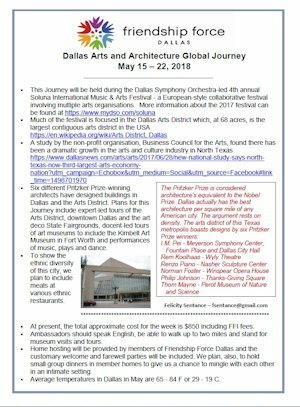 Plans for this Journey include expert-led tours of the Arts District, downtown Dallas and the art deco State Fairgrounds, docent-led tours of art museums to include the Kimbell Art Museum in Fort Worth and performances of music, plays and dance. • To show the ethnic diversity of this city, we plan to include meals at various ethnic restaurants. • The total cost for the week is $870. 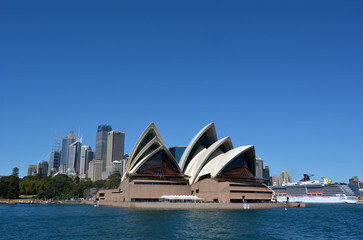 Price Includes: FFI and host fee, theatre performances, entrance fees, architectural tours, transportation and many meals. 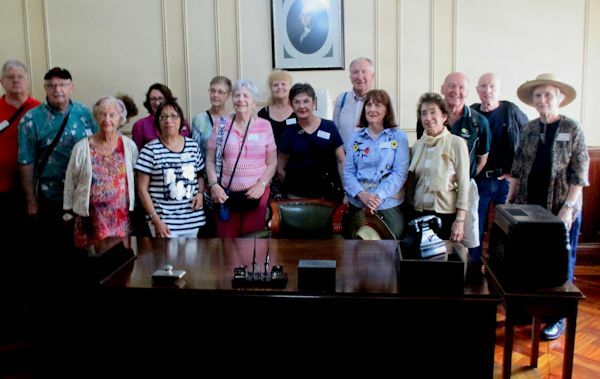 • Ambassadors should speak English, be able to walk up to two miles and stand for museum visits and tours. • Home hosting will be provided by members of Friendship Force Dallas and the customary welcome and farewell parties will be included. We plan, also, to hold small group dinners in member homes to give us a chance to mingle with each other in an intimate setting. 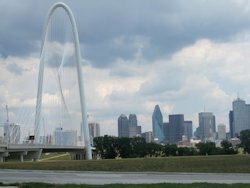 • Average temperatures in Dallas in May are 65 - 84 F or 29 - 19 C.
Deadline to apply was January 12, and applicants have been selected. 3 pm Ambassadors arrive individually by this time or day before to attend welcome party. 7 pm Welcome party at Dallas Children's Theatre and tour back stage. 10 am Arboretum docent tour 1 hour plus 1 hour free time. and short talk about this organization and community theatre in Dallas. Evening Small group dinners, potluck - Times TBA. 10 am Tram tour of Fair Park Art-Deco architecture. Originally requested as a repeat for the Global Arts and Architecture Journey for a Brazilian group, this requested Journey has morphed into a different format. Planning is still underway to see if we can accommodate this group and their interests. THIS JOURNEY IS CANCELLED DUE TO THE CURRENCY INFLATION IN BRAZIL. Lou Ann King, Ambassador Coordinator. Photos from this Journey appear in the May 2018 Newsletter. Our second Journey will be to Central Israel. This is a country we have never visited and has very limited hosting availability. 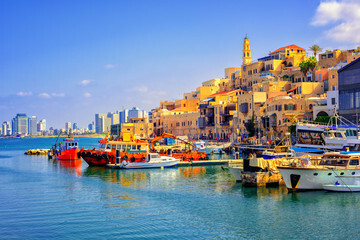 Experience the old and new Israel with a club in great demand. UPDATE 9/1: This Journey is full. Contact Haiya Feder-Naftali hnaftali@juno.com or Michael Wald - mwald999@gmail.com. Note: This trip is not recommended for people who are not active, good walkers. The official trip begins with bus pick up at the airport in Tel Aviv Oct 4 late afternoon – there will be a cost for the shared ride. Make your own flight arrangements but meet at 4 pm at the airport for bus transport. You are responsible for your own taxi if you arrive at a different time. Reno/Lake Tahoe club was our host for this Outbound Domestic Journey. 16 people participaged from Aug 14-21, 2018. Julia Cooper was the Ambassador Coordinator. This Journey is now completed. Domestic Journeys are also being arranged for 2019. Contact Coordinator Sharri McIntosh if you have ideas for Domestic Journeys or contacts with other clubs. 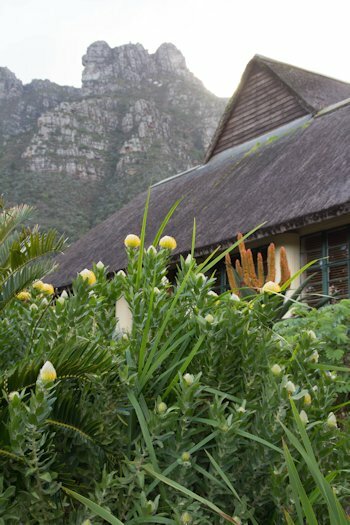 One week homestay with Cape of Good Hope Club. Sightseeing - Stellenbosch botanical gardens, penguin colony, Cape Point, wine estate, cable car to Table Mountain, one of the museums, a home for disabled children, meet the Mayor/walk about town + Optional trip to Robben Island where Nelson Mandela was imprisoned - ferry ride on our free day - Sunday - $25. UPDATE: See the revised safari we have booked. UPDATE: This Journey is full. Wait list only. UPDATE: This safari is closed. 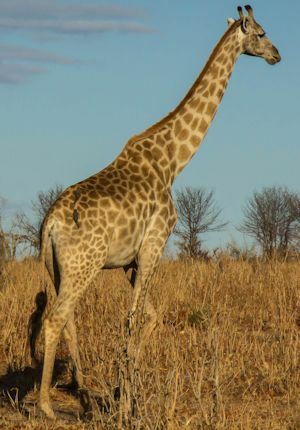 Look at information on all the tabs on this link for our activities and accommodations on this safari. We will be booking something similar to this later in the year. Deposits for the safari will be paid separately to the safari company. This trip has been canceled due to insuficient number of participants. Mini (4 night) Inbound to Dallas starting July 19th prior to the International Conference in Boulder, CO through July 23. 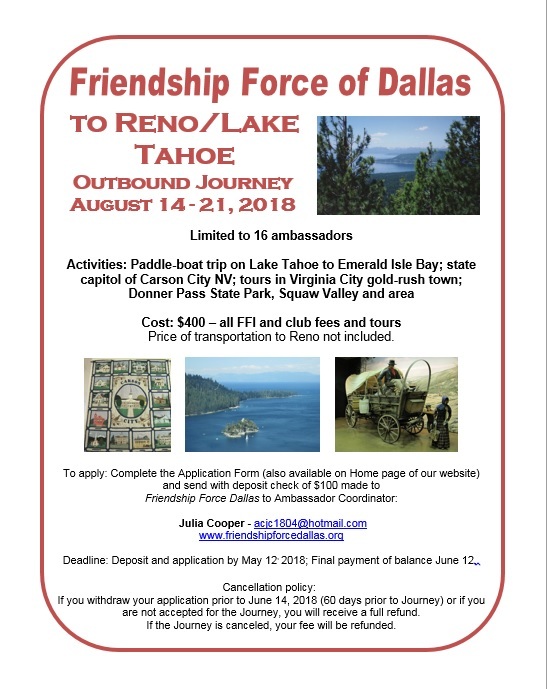 It’s customary for Friendship Force International to offer pre and post homestays along with the International Conference and Dallas is offering one of these. Pat Andeweg has been appointed Host Coordinator for this event. Pleae contact her to host or volunteer for this short stay. Registration for this Journey will begin soon..
Gateway to Europe at Your Doorstep! Our opening night party takes us back to 1977 when the Friendship Force began. The music, costumes, dancers, decor, food and atmosphere will have you waxing nostalgic about the ‘70s. It’s time to celebrate 40 years of this great organization...and time to put on some bellbottoms. Pre- and Post-conference homestays and tours in Iceland, Italy, Ireland, Scandinavia, Croatia, France and UK. There is more information and photos from the Conference in the September 2017 Newsletter and the July 2017 Newsletter. 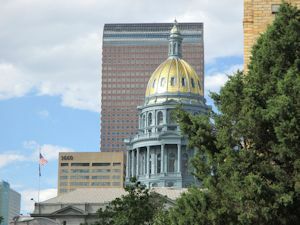 Due to the lasting impact of Hurricane Maria on Puerto Rico, the Conference location has been changed to Boulder, Colorado July 23 – 27, 2019. Registration information is now available on the FFI website: www.friendshipforce.org. Early registartion runs through the end of November, so if you plan to go, register now for a price break. If you are on the FFI mailing list, you should have received information this past week. Dallas is one of the hosting cities prior to the Conference - July 19 - 22. Many people will not be able to host as they will be at the Conference or other travel locations. If you are able to host, please let President Julia Cooper know. We are also looking for a Coordinator for this 3-day homesay. You many join an outbound journey from any other club from your country if they have room for you. Also listed are missions, festivals, and other hosting opportunities. Go to the Other Clubs page to see where you can go! See more in the Friendship Force International section. There was not a Southwest Regional conference in 2013 as the International Conference is in the United States. Regional meetings or social events for US club members were held in New Orleans on the afternoon of Friday November 22. This was our opportunity for our regional clubs to meet. Our Field Rep,Bob Duncan from Baton Rouge, hosted our event. Bob is at mardigrasbob@hotmail.com. Our Southwest region met in Albuquerque March 21-25, 2014. There is a report in the May, 2014 Newsletter by Mary Williams who attended from Dallas. The 2015 Southwest Friendship Force Conference was hosted by the Houston club March 27 - 29, 2015 at the beautiful South Shore Harbor Resort and Marina on Clear Lake. Joy Huntington chaired this event. See the report in the May 2015 Newsletter by Mary Williams who attended the conference. The 2016 SW Conference was held April 1-3, 2016 in Austin. See Southwest Conferences for 2016 and from previous years on the Southwest Conferences page. There was no Conference scheduled for 2017. In 2018 there was a conference with several areas, including our Southwest Conference, combined. The clubs of Kentucky, Ohio and Michigan planned many special activities. Louisville and Dayton had home hosting before and Cincinnati home hosted after. Cincinnati was once called the “Queen City of the West.” Come and offered special attractions in both Cincinnati, Ohio and Covington, Kentucky. There has been a major change I want to alert you to on travel insurance. I include a few tips but want to make clear that neither I nor the Friendship Force of Dallas can give you any legal advice on this. You should be sure to read carefully any policy you buy. Friendship Force International requires the purchase of travel insurance, but you are free to choose your own company. The following commentary applies only to the official sponsored insurance. In view of the current interest in “pre-existing conditions,” I have copied below some provisions of the policy. You should note that “pre-existing conditions” exclusion can apply not only to the Trip Cancellation, but can exclude payments for Medical Expenses. In view of the fact that Medicare does not apply to treatment outside of the US, travelers on international exchanges should pay close attention to this. And note in the last paragraph that you can get a waiver of these exclusions by early purchase of the policy. Pre-Existing Condition means an illness, disease, or other condition during the sixty (60) day period immediately prior to the Effective Date for which You, a Traveling Companion or a Family Member booked to travel with You: 1) exhibited symptoms that would have caused one to seek care or treatment; or 2) received or received a recommendation for a test, examination, or medical treatment; or 3) took or received a prescription for drugs or medicine. Item (3) of this definition does not apply to a condition that is treated or controlled solely through the taking of prescription drugs or medicine and remains treated or controlled without any adjustment or change in the required prescription throughout the sixty (60) day period before the Effective Date. The Pre-Existing Condition Exclusion is waived if You (a) purchased this Policy at the time You pay the deposit (to Friendship Force) for Your Trip (or within 15 days of the initial trip deposit); and (b) You are medically able to travel at the time the premium is paid. I have spoken with Friendship Force International (FFI) and have some additional information about travel insurance and the question of covering “pre-existing conditions.” This only applies if you buy the official policy from FFI. You are on your own if you buy with a different company. Deal With FFI not Insurance Company. 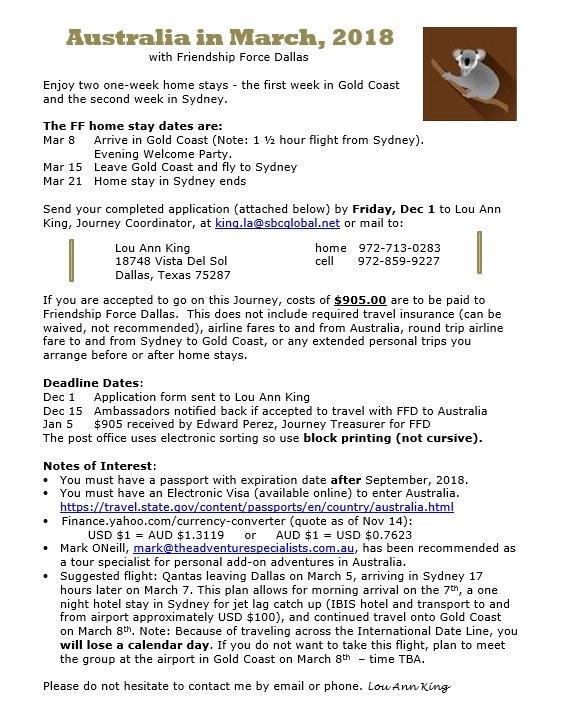 If you buy the official travel policy you will buy from FFI and not deal directly with the company. You will make payments to FFI so they have more control over when you need to buy and when you get a refund. Purchase Cut Off Date More Flexible. Even though the policy says you must buy within 15 days of the first payment to “Friendship Force” this is not clear which Friendship Force is referred to and if a refundable payment is a payment. The key time to buy insurance is when you make the first non-refundable payment. In the case of travel fee payments to FFI that is 60 days before departure. When you make a deposit to the Dallas club it is not a payment if it is refundable. The first payment date is the date the club makes a non-refundable payment and can no longer refund all your money (ie, payment to FFI or to a travel agency or such). But it also means that if you buy a plane ticket or pay some other travel expense to an outsider that is non-refundable, that is when you need to buy your insurance. Insurance Premium Refundable. If you buy insurance when you make your first refundable deposit, such as to the club, and then cancel, you can also cancel the policy and get a refund of your premium. This is handled by FFI so you don’t have to deal with the insurance company. Buy Insurance in Installments. It was also suggested that you can buy insurance in stages. When you make your first refundable payment to the club you can buy $1,000 worth of insurance for $38 (which is the minimum policy amount) and add on to this as you commit more money. And if you cancel, that first premium is refundable. If you buy insurance because you have made a non-refundable payment, it is not clear if you can cancel the policy. Of course, you cannot both make a claim and cancel. If you have further questions on this you can call Allison Lindsey at Friendship Force International at 404-965-4342. How can we get new members? How can we fill our journeys? FFI has worked with experienced volunteers to develop answers to these questions, answers that are practical and based on proven results. The purpose of the World Exchange Recruiter program is to begin to give concrete steps to expand membership AND fill exchanges. The goal is to fill 200 spaces on Jouneys through the World Exchange Recruiters and connect with 300 hosts in the Friendship Force community. Want the early scoop on upcoming Friendship Force journeys? Want to help get these journeys filled so friendships can be formed around the world? If you are interested in becoming FF Dallas' "World Exchange Recruiter," contact Paula Rose at paularose2000@hotmail.com.